Welcome to your new home! That is if you are looking for a home that offer a refreshing floor-plan to the boring colonials you keep seeing. This home will surprise you at every turn. It looks like a cottage, however it is more like a Bungalow on Steroids! From the minute you walk in this home you will be awed by the twenty foot high coffered ceilings and dramatic staircase to the loft. Opposite that is the full wall of bookcases flanking a warm gas fireplace and a room full of windows! This space is truly awesome and open to the kitchen,as well as the dining room. Head to the breakfast room and the view of nature captures your attention. The owner added an amazing screened porch and deck and in-ground sprinkler system after purchaser. You will LOVE this space. But there’s more. 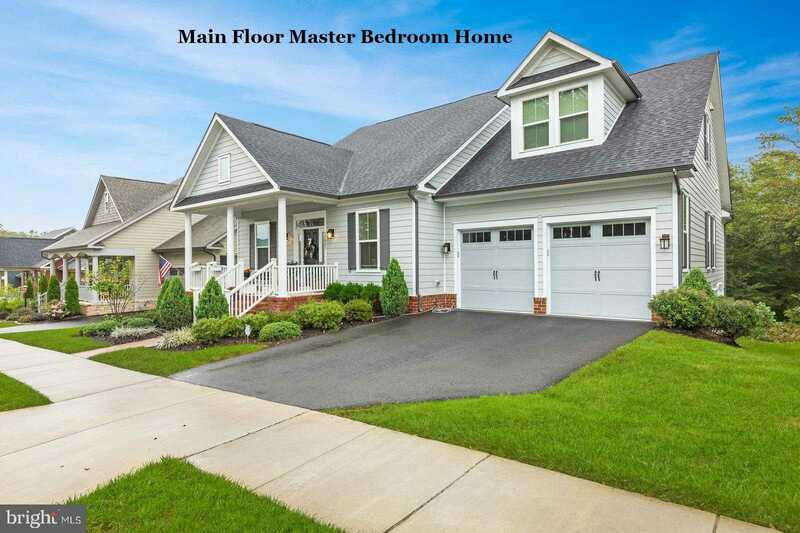 The master bedroom and luxury bath and huge closet await you in the rear of the home as well as a second bedroom, laundry room, and half bath. In the front of the home you will be delighted to learn there is a very nice office with french doors for privacy. Head upstairs and you will find a loft, a large bedroom, walk in closet and a full bath. Head to the basement level to find a finished rec room with walkout. This is a HUGE L Shaped Room. There are two additional spaces that can be finished at a later date. Owner is very flexible on delivery. Tell us what you need. 30,60,90 days…that’s all possible. If you see this home, you will say I want it! PS: HOA included high speed internet, pool and state of the art gym. Potomac Shores is a resort style community so there is a social event and class schedule published monthly. These homes are energy saving built homes . This one has an interior suppression system, was built with John Hardi siding and has energy saving appliances, and systems and lighting. That means big savings on your homeowners insurance policy. Schedule your appointment today. Lister lives in Potomac Shores.